Treatment of bedsore and infected wounds. According to the studies, fatty acids existing in olive oil contribute to skin regeneration, increase water supply and skin elasticity. The presence of effective ingredients in the formulation of this ointment such as different forms of Alkaline and flavonoids which have been extracted from arnebia euchroma extract involves anti-inflammatory, antioxidant, anti-fungal and antibacterial virtues which have a significant role in the wound healing process. The presence of Bees Wax in the product directly interferes with the wound healing and prepares the environment for appropriate growth of tissue and wound restoration. In case of allergy or irritation consult your physician. Secretions from the wound during treatment are a sign of healing process and is of no concern. Healthcare which includes a type of nutrition, daily cleaning, dry keeping and constant lubrication of the patient’s skin with natural oils and regularly monitoring patients condition is important in preventing disorder in blood flow (ischemia) and ultimately skin and tissue damage. Upon healing, attentions to these points are essential. Stop immediately if rash/allergy occurs. 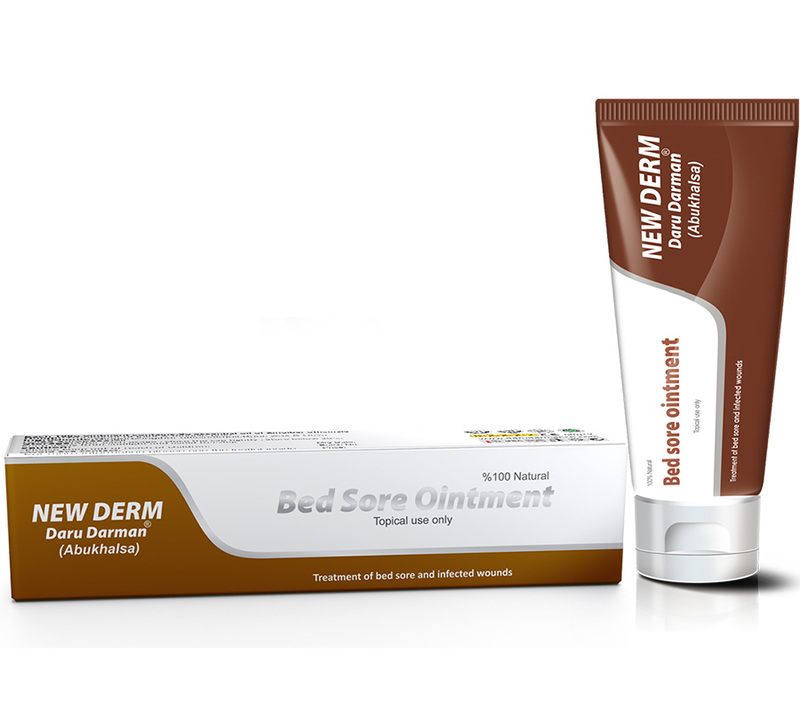 Always test ointment on small skin area before applying on the affected area for irritation/rash/allergy. Seek doctor advice if irritation/rash/allergy occurs. Do not use simultaneously with other ingredients of Corticosteroid. Do not use if you have existing known history of skin allergy. All ointments may have unwanted side effects. Although all these side effects are not likely to be seen in every one, you must consult with a physician or a pharmacist in case any allergies or irritations arise. Possible side effect of this ointment is exanthema (topical small rashes/ pimples) on the body, which must be consulted with a physician if observed. Rinse the area with normal saline serum, then cover the wound with an appropriate dosage of ointment (cavity wounds to be filled out completely with the ointment). After placing the prepared bedsore pad on the wound, bandage the area. Continue with this process once every 48 hours or 72 hours till complete healing. In cases in which the skin of the pressured area has become red and fervent, but still not ulcerated, massage the ointment on the skin surface at least once in a day. Regarding the features of the bedsore proportionate with the depth and width of the wound, it is better to consult with the experts and experienced individuals to get a decisive treatment. Conclusion (at treatment initiation of some wounds, it is necessary that the necrotic tissue [the dead skin and tissues] to be debrided by the experienced therapist of the wound).